I lived in L.A. for eight years without a car (and you can too) | The Source: " Look, L.A.’s transit system isn’t perfect. But you know what? No transit system is perfect. 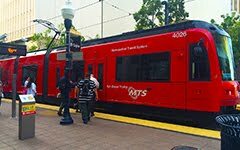 And in my opinion, the annoyances of riding transit in L.A. are far fewer than the annoyances of driving a car in L.A. Sure, buses can be late and slow and the trains don’t run 24 hours a day. But when you’re in a car, traffic is just an unpredictable as a bus schedule (and likely the cause of the your late bus) and parking in many parts of the area is pretty much guaranteed to be a (pricey) nightmare. Not to mention, if you’re under 34 a car accident is the most likely way you’ll die. And think about this: most would say that L.A.’s transit system is improving. Very few would say the same of traffic."